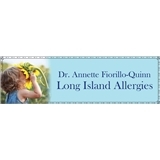 Long Island Allergies (Valley Stream) - Book Appointment Online! The mission of Long Island Allergies is to provide compassionate and comprehensive medical care for all of our patients. We understand that your time is valuable and pride ourselves in personalized and compassionate care for your entire family. As a mother, Dr. Fiorillo-Quinn believes your child deserves dedicated time in order to feel comfortable with the office and treats your child like one of her own. Our medical care and treatment plans are based on the highest standards in diagnostic testing and on the latest practice parameters in our field. We strive to see you promptly at your scheduled appointment time, answer all of your questions, and maximize your time with Dr. Fiorillo-Quinn. Your satisfaction and continued health are our highest priorities. Dr. Fiorillo is great! She’s so nice and does her very best to help you with all the problems you have.